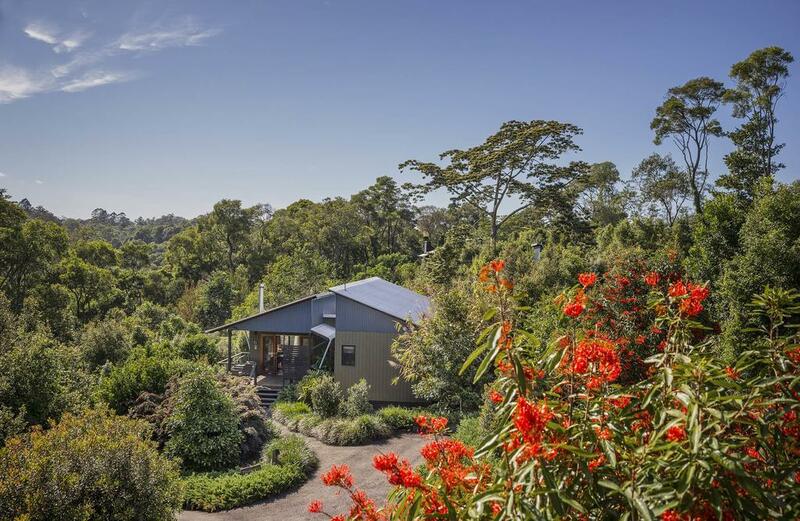 Spicers Tamarind is set within the stunning rainforest close to Gardners Falls in the Sunshine Coast Hinterland just a few kilometers from the township of Maleny. This Sunshine Coast accommodation offers stand alone villas with luxurious amenities and comfy interiors. The villas are perfect for a romantic and intimate weekend away from the hustle and bustle of the city. Spicers Tamarind features an onsite restaurant serving traditional Thai cuisine and cooking classes are also available at the retreat. 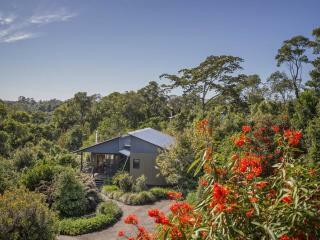 Take a walk around the 18 acre property, visit Obi Obi Creek or just sit and take in the fresh air. Spicers Tamarind is the ideal weekend getaway, honeymoon location or just a place to relax. Intimate, private and romantic, every one of Spicers Tamarind's villas is your escape from it all. 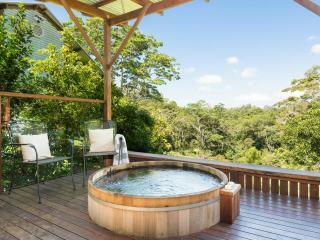 Spa Studio: Features a luxurious outdoor cedar hot tub on the verandah as well as a kitchenette. Size is 40m². Bedding is 1 King Bed. Gardener's Villa: This spacious villa offers two bedrooms, spa bathtub, fireplace, kitchenette and Bose Sound System. Size is 83m². Bedding is 2 King Beds. Orchard Villa: Offers two bedrooms, each with an ensuite, fireplace and full kitchen facilities. Size is 107m². Bedding is 2 King Beds. Luxury Forest Villa: Features two bedrooms, a large deck with daybed, Bose Sound system and fireplace. One ensuite offers a shower and a separate luxurious bathtub located in the private courtyard. The second ensuite features a shower. size is 82m². Bedding is 2 King Beds. 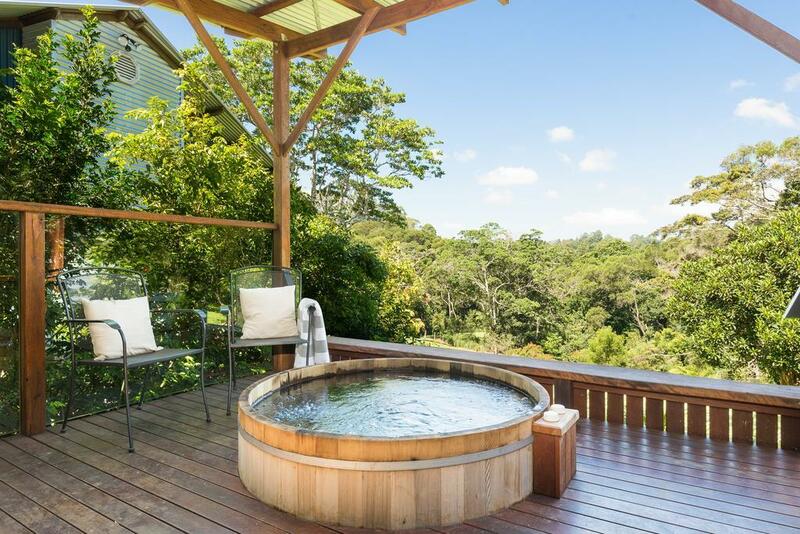 Luxury Falls Villa: Located adjacent to the Gardener's Falls, this 1 bedroom villa offers a kitchenette, fireplace, dual shower and outdoor cedar hot tub on the verandah. Size is 40m². Bedding is 1 King Bed. The Tamarind: Spicers Tamarind's restaurant brings a taste of Thailand to the foothills of Maleny. Set in a tranquil outdoor pavilion designed to make the most of peaceful location, Spicers Tamarind's restaurant specialises in traditional Thai cuisine. Every dish with its traditional Thai flavours of sweet, sour and spicy will leave your mouth watering and your stomach begging for more. Spa Anise: Pamper yourself while staying at Spicers Tamarind Estate. A wide variety of treatments are available including massages, facials, hydrotherapy and full body treatments.